I am mapping and modelling a disease of sheep. I have approx 4200 point locations in my dataset, each of which represents the centroid of a given sheep farm. 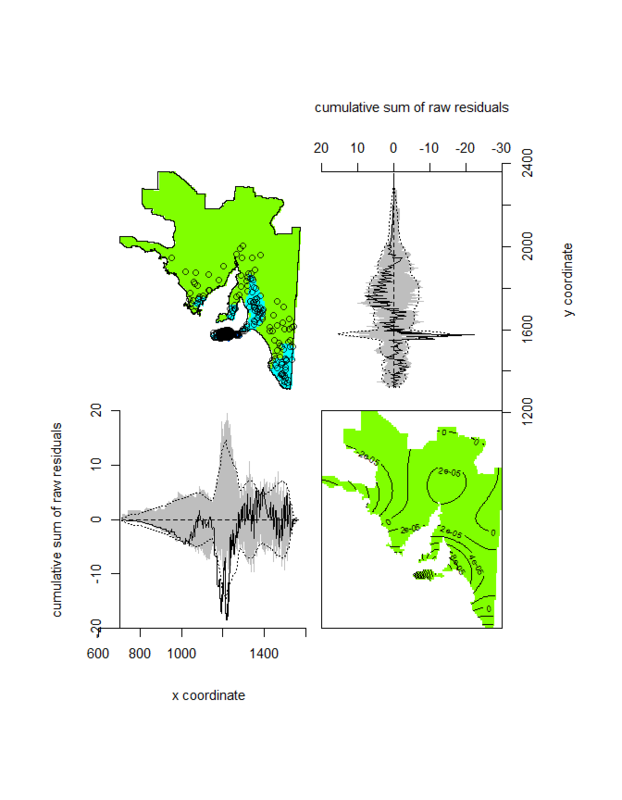 I have created a K-function difference plot (below) to assess whether my disease-positive farm density layer shows evidence of spatial dependence above and beyond that shown by my disease-negative farm density layer. 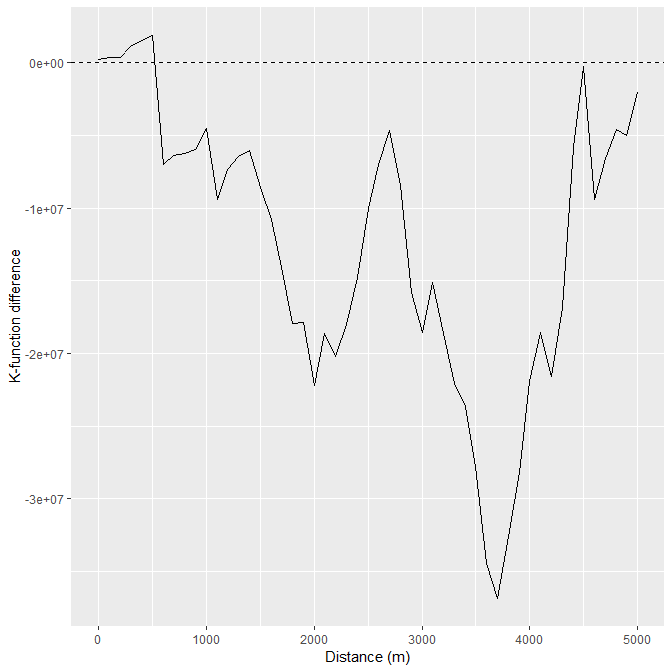 From this plot I identified spatial dependence in my dataset out to a distance of 500m from a given disease-positive farm. I have built a Poisson point process model and been through a model selection process. My model residuals appear to be relatively well behaved. 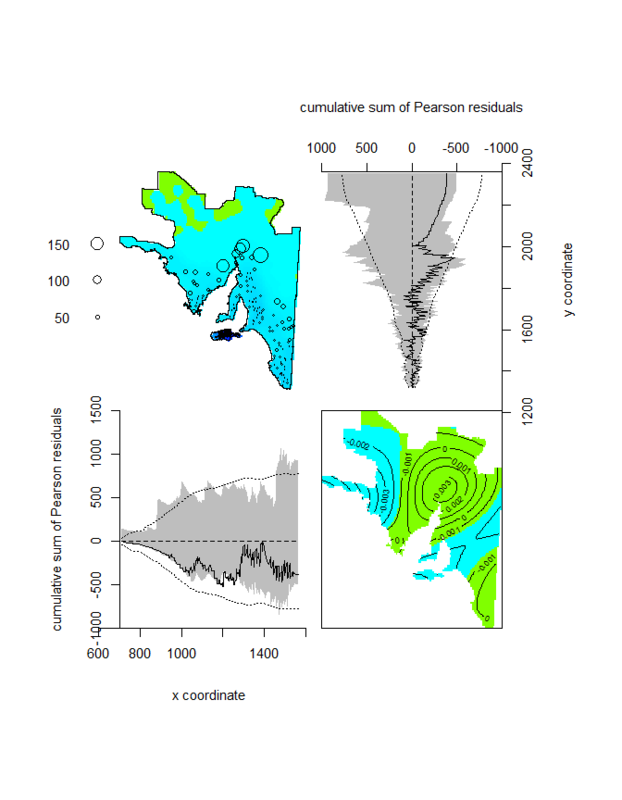 See lurking variable plots below, raw and pearson residuals. 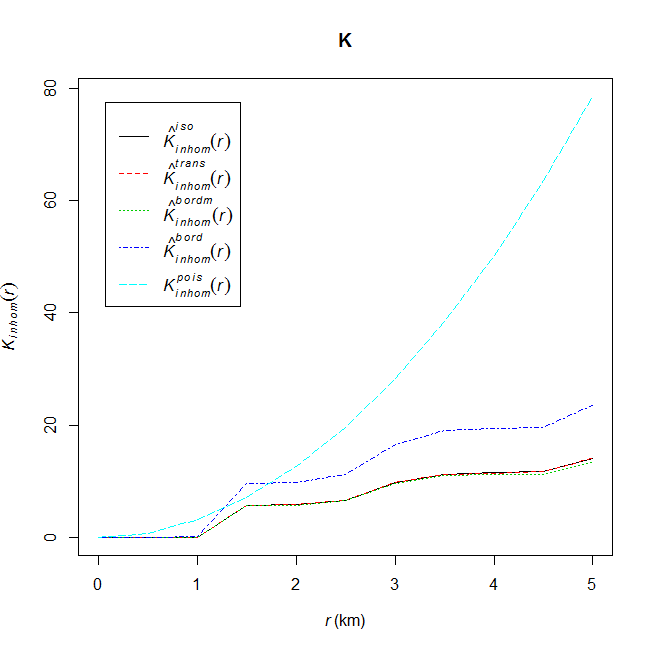 To assess the need (or not) for a spatial dependence/interaction term in my Poisson point process model, I created an inhomogeneous K-function plot from a density surface estimated from my final model. See inhomogeneous K-function plot below. 1) Based on these plots, should I be including a spatial dependence/interaction term in my model? If so why? 2) Should the repulsion between points shown by the inhomogeneous K-function be accounted for in my Poisson point process model if it is not due to the disease itself? The inhomogeneous K-function plot shows no evidence that disease-positive farms cluster, but does show evidence consistent with repulsion. I believe this repulsion is an artifact of my data and not associated with the disease itself -I am using points to represent the area of a farm, so points can never be closer to each other than their farm borders. Thanks in advance for any answers, I am very very appreciative! Browse other questions tagged clustering spatial poisson-process point-process or ask your own question. Are there models for “censored” spatial point processes? Is the Matérn covariance function associated with the Matérn cluster process?